It's really easy to update your coaches/managers on your team. You can do this for mobile or on the website. 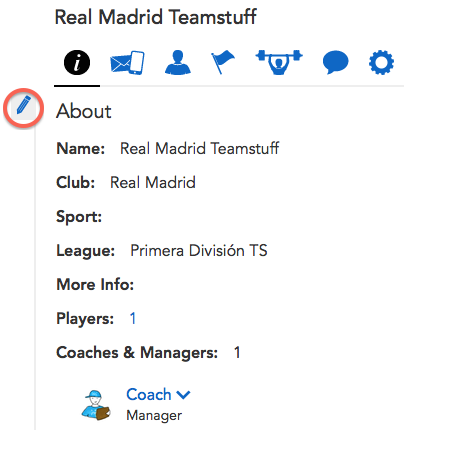 OK, now to change the coaches or managers, you need to click on the pencil icon. This generally means edit in teamstuff - and you can see it highlighted above in the red circle. Near the word About. You can type in their email, click add to add a new coach. Or, you my set their role by changing the Manger/Both/Coach slider on the right. 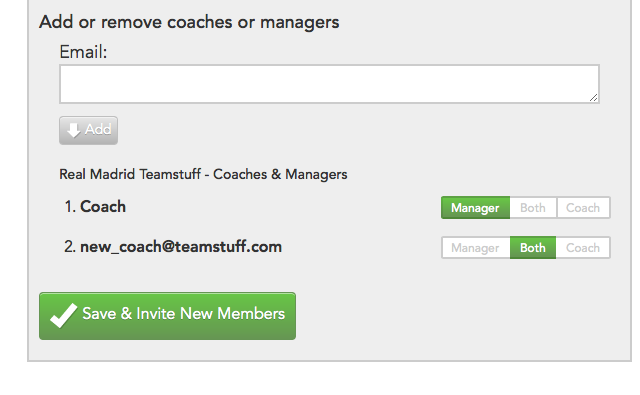 Or, you can hover over an existing manager/coach and delete them.